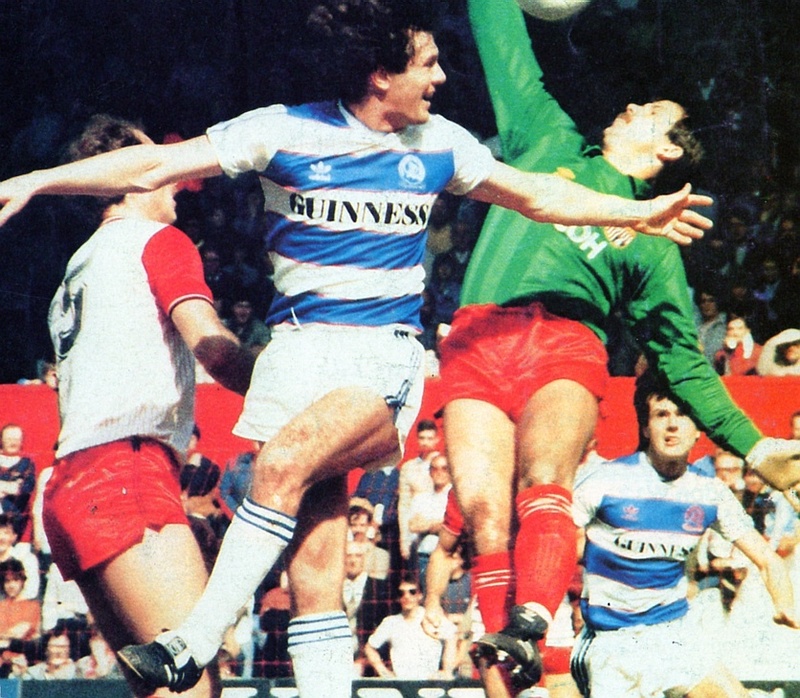 Promotion back to Division 1 saw sponsors on a QPR shirt for the first time. 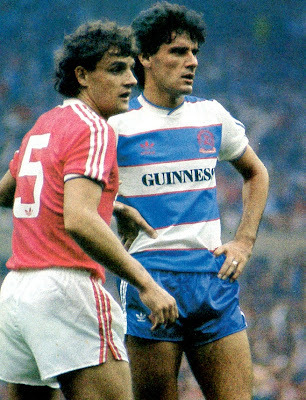 Combined with a new design by Adidas it proved to be a big hit with supporters. Strangely, a different version of the shirt appeared later on in the season, with the QPR badge and Adidas logo in white, plus larger Guinness leterring. The original version was soon phased out, but both versions would often in appear in the same game. 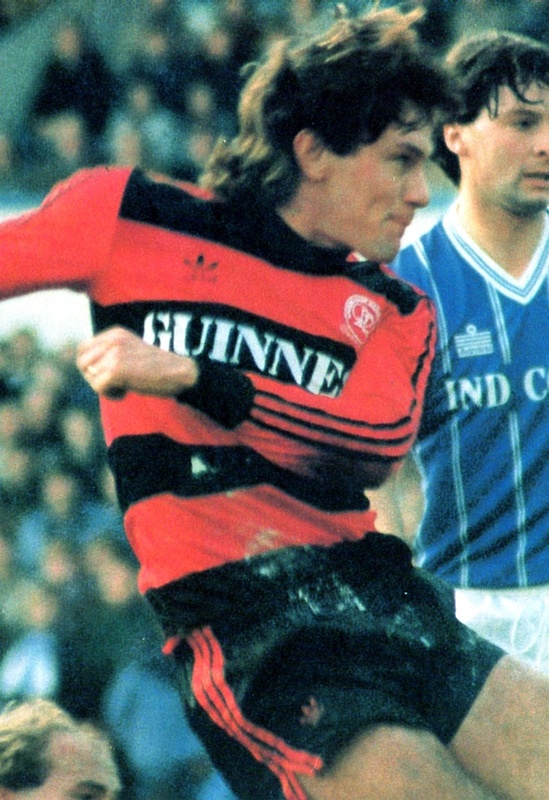 The 'Dennis the Menace' style red and black hooped away shirt launched this season went on to become the design most associated with QPR's change of colours.